Breakthroughs in combinatorial chemistry and molecular biology, as well as an overall industry trend toward accelerated development, mean the rate of sample generation now far exceeds the rate of sample analysis in the pursuit of producing new and better pharmaceuticals. LC/MS is an analytical tool that helps the researcher identify the most promising sample early in the selection process, effectively creating a shortcut to finding new drugs. 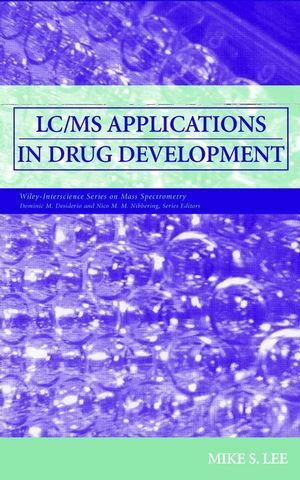 This book is the first to describe LC/MS applications within the context of drug development, including the discovery, preclinical, clinical, and manufacturing phases. Written for both the analytical chemist who uses LC/MS applications and the pharmaceutical scientist who works with the drugs they produce, LC/MS Applications in Drug Development is the premier reference on the subject. MIKE S. LEE, PhD, is President of Milestone Development Services, a consulting firm specializing in pharmaceutical analysis and drug development strategies. He lives in Newtown, Pennsylvania. Perspectives on the Future Growth of LC/MS.